Monitoring temperature and relative humidity fluctuations is providing essential information to help protect museum collections. Tinytag data loggers record temp/RH inside museum display cases containing sensitive objects to help manage their preservation and conservation. 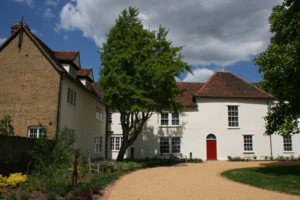 Valence House Museum is the Local History Museum for the London Borough of Barking and Dagenham. It tells the history of Barking and Dagenham from pre-history through to the modern day. There are 13 galleries within the museum all of which have display cases that are full of objects made from a variety of material. A total of 15 Tinytag Plus 2 and View 2 loggers are located within cases containing objects that are most susceptible to fluctuations in temp and RH. For example, these include the archaeology case that displays unglazed ceramics and two cases that both contain mid-to-late 16th century wall paintings, all of which would be damaged by high levels of RH. They are located in five cases that have a mixed media display that includes textiles (man-made and natural fibres): the mixed media of these cases makes monitoring the environment especially important as fluctuation in RH levels could lead to changes in one object causing damage in another. A data logger is also located in a case containing the Dagenham Idol, a 4000 year-old wooden figurine. Any fluctuation in RH could lead to irreparable damage if the wood was to swell or contract. Tinytags also monitor the environment in the mixed-media store and cataloguing spaces where a stable environment is essential. The recorded data is downloaded on a monthly basis and the RH fluctuation over a 24 hour period is examined. Valence House is a grade II* listed medieval manor house, and as such has no environmental control. If the data shows any problems with the levels, action is taken by controlling the temperature in display spaces, or removing anything that may be causing the problem, such as external lights. The museum has been using Tinytags since 2006. Curator Leeanne Westwood comments, "Tinytags proved easy to use, flexible and suitable for our display spaces, so we have continued to use them. They provide all the information I require to manage and care for my collections appropriately."